Please type your desired tags, e.g. Materials and Polymers, Geoscience, Sociology, Cognition and Neuroscience, Hyperpolarized MRI, Art & Science, Electrical Engineering, Professional Communication, Information Systems, design, Clinical Nutrition, Conflict Management, Social Studies Education, Women’s History, Leadership, and etc. My research interests relate to the general principles that underlie the remarkable self-organizing capability of the cerebral cortex. The cortex is continually reorganized to optimize its function to match the environment an individual occupies. Although cellular studies have demonstrated that plasticity mechanisms are dependent on correlation-based rules, we still do not understand the principles that govern how sensory experience alters the distributed responses of thousands of cortical neurons in a behaviorally useful manner. Understanding how brain networks self-organize themselves is critically important for the development of new rehabilitation therapies for autism, dyslexia, stroke, schizophrenia, and Alzheimer's disease. Current treatment of neurological disease is limited to pharmacological, surgical, or behavioral interventions. Recent experimental advances indicate that it may soon be possible to effectively manipulate plasticity mechanisms in human patients. Early attempts to develop neuroscience-based therapies have been encouraging. The primary aim of experiments in my laboratory is to learn how sensory experience and behavioral motivation influence cortical plasticity so that these factors can be manipulated for therapeutic benefit. We are using both environmental enrichment and more targeted behavioral training to study the mechanisms of cortical plasticity. We are also very interested in the role the cholinergic projection from nucleus basalis plays in guiding cortical plasticity. Electrical activation of nucleus basalis paired with different sounds causes dramatic reorganization of the rat auditory cortex. By systematically manipulating features of these sounds we have been able to generate changes in cortical topography, temporal processing, sequence selectivity, and synchronization. These studies indicate that both emotionally salient stimuli and irrelevant background sounds contribute to cortical organization. We have recently demonstrated that pairing sounds with electrical stimulation of the vagus nerve can generate specific and long lasting plasticity that is indistinguishable from nucleus basalis. Vagus nerve stimulation (VNS) is well tolerated in humans and we have recently show that pairing tones with VNS is sufficient to reverse chronic tinnitus in rats. We have begun studies to determine whether VNS directed plasticity could be used to treat other conditions. We have recently received funding from the National Institutes of Health to develop VNS as a therapy for tinnitus and to study speech sound processing in an animal model of autism. The primary objective of the research in my laboratory is to understand how experience rewires the brain. We are particularly interested in how experience with speech sounds alters the brain. We are presently combining speech training and environmental enrichment with pharmacological and electrical stimulation of the nervous system to develop a general theory of neural plasticity. Understanding the network-level changes that allow the brain to adapt to new situations and learn novel stimuli will aid in the development of new treatment strategies for neurological disorders including dyslexia, autism, and stroke. 2018–2018	2009 - The Brain: An Owner's Guide, Center for BrainHealth, Dallas, Texas, "New Tools for Brain Repair" 2006 - Center for BrainHealth lecture series, Presbyterian Hospital of Dallas, Texas. "Healing the Human Brain: The Next Medical Revolution" 2003 - The Brain: An Owner's Guide, Center for BrainHealth Lecture Series, Dallas, Texas, "How Your Brain Learns". 2003 - Brain Health, Glen Mitchell Show, Public Radio Station KERA Dallas, Texas. 2003 - Discoveries & Hope for Brain Health, The McCuistion Program, Public Television, Dallas, Texas. 2018–2018	Discrimination of Degraded Speech Sounds by Rats: Behavior and Physiology, K Ranasinghe, W Vrana, C Matney, G Mettalach, T Rosenthal, E Renfroe, T Jasti, M Kilgard, Association for Research in Otolaryngology, Anaheim, California, 2010. Effect of Background White Noise and Speech Shaped Noise on Speech Discrimination Performance in Primary Auditory Cortex of Rats, Jai Shetake, Jordan Wolf, Ryan Cheung, Kinsey Ram, Will Vrana, Tara Rosenthal, Michael Kilgard, Association for Research in Otolaryngology, Anaheim, California, 2010. Tinnitus percept in rats is associated with pathological auditory cortex plasticity, N. D. Engineer, J. R. Riley, J. D. Seale, J. A. Shetake, D. Vuppala, H. Rasul, M. Fink, M. P. Kilgard, Society For Neuroscience, Chicago, Illinois, 2009. Bilateral auditory cortex lesions impair discrimination of brief speech sounds, B. A. Porter, T. R. Rosenthal, J. Wolf, A. C. Reed, W. A. Vrana, E. M. Renfroe, S. K. Ram, M. P. Kilgard, Society For Neuroscience, Chicago, Illinois, 2009. 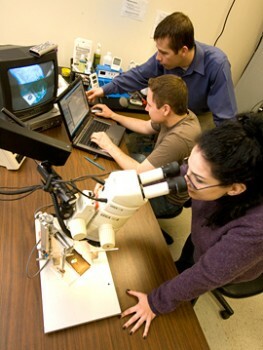 Targeted Neuroplasticity to Treat TBI, Tinnitus, and PTSD, Michael Kilgard, Navzer Engineer, Will Rosellini, Crystal Engineer, Advanced Technology Applications for Combat Casualty Care, St. Pete Beach, Florida, 2009. Cortical Responses to Spatio-Temporal Patterns Encode the Preceding Stimuli D.V. Buonomano, P.K. Pandya, N.D. 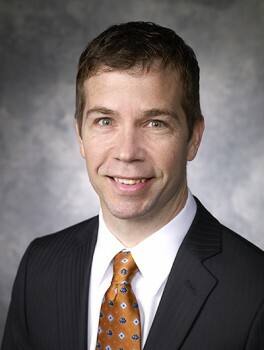 Engineer, M. P. Kilgard, Society For Neuroscience, Washington D.C., 2008. M1 Agonist Cevimeline (AF102B) Induces Input Specific Frequency Map Plasticity In Rat Primary Auditory Cortex. V Jakkamsetti, JA Shetake, KQ Chang, K Krishnan, RO Torres, KM Jordan, MP Kilgard, Society For Neuroscience, Washington D.C., 2008. Effect of White noise on Speech Discrimination Ability in Primary Auditory Cortex of Rats J. A. Shetake, K. G. Ranasinghe, B. A. Porter, H. Mumtaz, E. Tran, J. Wolf, M. P. Kilgard, Society for Neuroscience, Washington D.C., 2008. Speech sound discrimination in rats with primary auditory cortex lesions, B. A. Porter, T. K. Jasti, D. Kavikova, R. C. Frazier, M. P. Kilgard, Society for Neuroscience, Washington D.C., 2008. Environmentally induced modification of the long term consolidation process of contextual fear memory, D. F. Pena, V. C. Roberts, K. Chang, M. P. Kilgard, C. K. McIntyre; Society for Neuroscience, Washington D.C., 2008. Environmental Enrichment Increases Response Strength And Paired-Pulse Depression Of Auditory Cortex Neurons. C.R. Percaccio, A.L. Pruette, S.T. Mistry, Y.H. Chen, D.L. Rathbun, M.P. Kilgard, Acoustical Society of America, Paris, France, 2008. Impaired Speech Discrimination in Rats in the Presence of White Noise, B Porter, J Alaniz, C Engineer, M Kilgard, Association for Research in Otolaryngology, 2008. Acetycholine Increases Time-Locking Without Increasing S/N Ratio in In Vivo Recordings from the Primary Auditory Cortex of the Anesthetized Rat J Nichols, B Roof, H Salgado, V Jakkamsetti, M Kilgard, M Atzori, Association for Research in Otolaryngology, 2008. Speech Training Enhances Responses in Rat Primary Auditory Cortex. C. T. Engineer, C. A. Perez, R. S. Carraway, A. C. Puckett, K. Q. Chang, Y. H. Chen, M. P. Kilgard, Society For Neuroscience, San Diego, 2007. Behavioral Correlates of NB-Stimulation Induced Frequency Map Plasticity Iin Primary Auditory Cortex Of Rats A. C. Puckett, R. S. Carraway, C. A. Perez, C. T. Engineer, V. Jakkamsetti, J. R. Riley, H. A. Fenus, V. Badhiwala, J. L. Choi, M. P. Kilgard, Society For Neuroscience, San Diego, 2007. Unimpaired Speech Discrimination in Rats Following Bilateral Auditory Cortex Lesions B. A. Porter, O. R. Floody, L. Ouda, C. Skillern, T. Sharma, M. P. Kilgard, Society For Neuroscience, San Diego, 2007. Rolipram Causes Frequency-Specific Map Reorganization in the Primary Auditory Cortex V. Jakkamsetti, K. Q. Chang, J. A. Shetake, G. L. Mettlach, M. G. Ditzler, J. G. Kalangara, M. P. Kilgard, Society For Neuroscience, San Diego, 2007. Effect of Sensory Stimulation on the Neuronal Morphology in the Auditory Cortex M. Bose, V. P. Jakkamsetti, J. A. Nichols, R. Byrapureddy, B. A. Porter, M. P. Kilgard, M. Atzori, Society For Neuroscience, San Diego, 2007. Activity Patterns in Awake Auditory Cortex Predict Speech Discrimination Ability in Rats. J. A. Shetake, C. T. Engineer, C. A. Perez, R. S. Carraway, G. L. Mettlach, R. L. Rennaker, M. P. Kilgard, Advances and Perspectives in Auditory Neurophysiology, San Diego, 2007. Rolipram Enhances Cortical Plasticity in Primary Auditory Cortex (A1) of Rats, V. Jakkamsetti, R. Jain, K. Q. Chang, R. J. Nance, J. G. Kalangara, M. P. Kilgard, Society For Neuroscience, Atlanta, 2006. Perceptual Consequences of Frequency Map Plasticity in Auditory Cortex, A. C. Puckett, C. T. Novitski, R. S. Carraway, C. L. Heydrick, A. L. McMenamy, C. A. Perez, M. P. Kilgard, Society For Neuroscience, Atlanta, 2006. Neural Coding of Speech Sounds in Naïve And Trained Rat Primary Auditory Cortex, C. T. Novitski, C. A. Perez, A. C. Puckett, Y. H. Chen, V. Jakkamsetti, M. S. Perry, R. S. Carraway, M. P. Kilgard, Society For Neuroscience, Atlanta, 2006. Discrimination Training of Speech Sounds in Rats, C. A. Perez, C. T. Novitski, A. C. Puckett, Y. H. Chen, M. S. Perry, R. S. Carraway, O. R. Floody, M. P. Kilgard, Society For Neuroscience, Atlanta, 2006. The Effects of Long Term Auditory Experience on Surface Vasculature in Rat Auditory Cortex, D. M. A. E. Listhrop, K. J. Dominguez, P. Kan, R. Carrasco, T. Sharma, A. R. Moller, M. P. Kilgard, Society For Neuroscience, Atlanta, 2006. Environmental Enrichment Selectively Increases Excitatory Synaptic Currents in Auditory Cortex Layers II/III vs. Layer V, J. A. Nichols, V. Jakkamsetti, L. Dinh, M. Kilgard, M. Atzori, Society For Neuroscience, Atlanta, 2006. In Vivo Cortical Responses Compared with the Responses of Ensembles of Spectro-Temporal Fragments and a Simple Thalamo-Cortical Model, M. Coath, S.L. Denham, M.P. Kilgard, International Conference on the Auditory Cortex: The Listening Brain, England, 2006. Discrimination Training and Neural Coding of Speech Sounds in Rat Primary Auditory Cortex, C.T. Novitski, A.C. Puckett., Y.H. Chen., C.A.Perez, V. Jakkamessetti, M.S. Perry, R.S. Carraway, M.P. Kilgard, COSYNE: Computational and Systems Neuroscience Meeting, Salt Lake City, Utah, 2006. Effect of Enriched Environment on Synaptic Transmission in the Rat Auditory Cortex. J. Nichols, V. Jakkamsetti, R. Byrapureddy, B. Roof, H. Bui, T. Thompson, M.P. Kilgard, M. Atzori, Association for Research in Otolaryngology, Baltimore, 2006. Complex Sound Discrimination Abilities of Rats and the Effects of Multiple Training Manipulations. A.C.Puckett, C.T.Novitski, N.D.Engineer, A.L.McMenamy, M.S.Perry, C.A.Perez, P.Kan, Y.H.Chen, V.Jakkamsetti, C.L.Heydrick, M.P.Kilgard, Society for Neuroscience, Washington D.C., 2005. Pharmacological modulation of Training-Induced Plasticity in Rat Auditory Cortex, R.Carrasco, R.Jain, V.Jakkamsetti, J.Record, M.Noorizadeh, M.P.Kilgard, Society for Neuroscience, Washington D.C., 2005. A Comparison of Neural Response Dynamics to Broadband Repetitive Stimuli in Auditory Cortex of the Unanesthetized and Ketamine-Anesthetized Rat A.Ruyle, H.Mc Clenathan, M.P.Kilgard, R.L.Rennaker, Society for Neuroscience, Washington D.C. 2005. Modulatory Influence of the Auditory Cortex on the Activity of Medial Geniculate Body Neurons in Rat, R.Moucha, J.Popelar, D.Suta, M.P.Kilgard, J.Syka, Society for Neuroscience, Washington D.C. 2005. Environmental Influence in Cortical Map Reorganization Generated by Basal Forebrain Activation, R. Carrasco, A. Puckett, P. Pandya, R. Jain, A. McMenamy, J. Gibbons, R. Moucha, C. Heydrick, M.P. Kilgard, Association for Research in Otolaryngology, New Orleans, 2005. Frequency Map Reorganization in Rat Primary Auditory Cortex Enabled by Basal Forebrain Activation Endures for at Least 20 Days R.A.Carrasco, A.Puckett, P.K.Pandya, A.McMenamy, J.Gibbons, C.Heydrick, R.Moucha, R.Jain, M.P.Kilgard, Society for Neuroscience, San Diego, 2004. Cortical Plasticity Directed by Complex Stimuli, M.P. Kilgard, C.R. Percaccio, N.D. Engineer, P.K. Pandya, R. Moucha, A.C. Puckett, C.T. Novitski, McDonnell Foundation 21st Century Science, Palisades, New York, 2004. Contributions of Experience and Acetylcholine to Environmental Plasticity in Auditory Cortex C.R. Percaccio, A.L. Pruette, S.T. Mistry, E.J. Kildebeck, Y.H. Chen, M.P. Kilgard Association for Research in Otolaryngology, Florida, 2004. Progressive Decay of Cortical Map Reorganization Induced by Basal Forebrain Activation in Rat A1 R.A. Carrasco, A. Puckett, P.K. Pandya, A. McMenamy, J. Gibbons, R. Moucha, R. Jain, M.P. Kilgard, Association for Research in Otolaryngology, Florida, 2004. Representation of Frequency Modulation: Comparison Between Thalamic, Primary and Posterior Auditory Field, R. Moucha, D.L. Rathbun, P.K. Pandya, N.D. Engineer, and M.P. Kilgard International Conference on Auditory Cortex, Magdeburg, Germany, 2003. Nucleus Basalis Induced Plasticity in Primary and Posterior Auditory Fields, A. Puckett, P.K. Pandya, W. Dai, N. Engineer, R.Moucha, D.L. Rathbun, and M.P. Kilgard, International Conference on Auditory Cortex, Magdeburg, Germany, 2003. Background Stimuli Control Cortical Map Expansion in Primary Auditory Cortex, P.K. Pandya, N. Engineer, R. Moucha, D.L. Rathbun, J. Vazquez, and M.P. Kilgard, International Conference on Auditory Cortex, Magdeburg, Germany, 2003. Representation of Complex Sounds in Auditory Thalamus, Primary and Non-Primary Cortex, P. K Pandya, D. L Rathbun, N. D Engineer, R. Moucha, R.L. Rennaker, M. P. Kilgard, Association for Research in Otolaryngology, Florida, 2003. Cholinergic Modulation of Auditory Evoked Potentials, C. R. Percaccio, S. T. Mistry, L. J.Cauller, M.P. Kilgard, Association for Research in Otolaryngology, Florida, 2003. Dynamic Filtering in Rat Auditory Cortex, R.L. Rennaker, H.H., P. Kilambi, M.P. Kilgard, Association for Research in Otolaryngology, Florida, 2003. Representational Remodelling Induced by Distributed Spatial Inputs in Auditory Cortex. P.K. Pandya, R. Moucha, D.L. Rathbun, N.D. Engineer, J.L. Vazquez, M.P. Kilgard, Society for Neuroscience. Orlando, 2002. Representational Plasticity of Marmoset and Human Vocalizations in Rat Auditory Cortex. P.K. Pandya, N.D. Engineer, R. Moucha, W. Dai, D. L. Rathbun, A. Puckett, J. L. Vazquez, Cherie R. Percaccio, M.P. Kilgard, Association for Research in Otolaryngology, Florida, 2002. Auditory Enrichment Enhances Evoked Potential Amplitude in Rat Auditory Cortex C. R. Percaccio, N.D. Engineer, N. C. Dempsey, P.K. Pandya, M.P. Kilgard, Association for Research in Otolaryngology, Florida, 2002. Characterization of Response Properties in Rat Posterior Auditory Cortex D. L. Rathbun, N.D. Engineer, R. Moucha, P.K. Pandya, M.P. Kilgard, Association for Research in Otolaryngology, Florida, 2002. Auditory experience improves response characteristics in rat primary auditory cortex neurons, N.D. Engineer, J. Vasquez, P.K. Pandya, R. Moucha, D. Rathbun, M.P. Kilgard, Society for Neuroscience. San Diego, 2001. Cortical Synchronization changed by Experience-Dependent Plasticity in Rat A1, J.L. Vazquez, P.K. Pandya, N.D. Engineer, R. Moucha, D. Rathbun, M.P. Kilgard, Society for Neuroscience. San Diego, 2001. Background Stimuli Contribute to Cortical Plasticity in Rat Primary Auditory Cortex, Moucha R, Pandya PK, Vazquez J, Engineer ND, Rathbun D, Kilgard MP, Society for Neuroscience. San Diego, 2001. Enriched auditory experience increases selectivity, threshold and response strength of rat primary auditory cortex neurons, N.D. Engineer, J. L. Vazquez, P.K. Pandya, R. Moucha, D. Rathbun, M.P. Kilgard, Association for Research in Otolaryngology, Florida, 2001. Parametric changes in the cross correlation strength in rat primary auditory cortex as a function of experience, J. L. Vazquez, P.K. Pandya, D. Rathbun, R. Moucha, N.D. Engineer, M.P. Kilgard, Association for Research in Otolaryngology, Florida, 2001. Plasticity of spectrotemporal coding in primary auditory cortex enabled by cholinergic modulation, R. Moucha, P.K. Pandya, J.L. Vazquez, D. Rathbun, N.D. Engineer, M.P. Kilgard, Association for Research in Otolaryngology, Florida, 2001. Frequency tuning plasticity in rat primary auditory cortex, P.K. 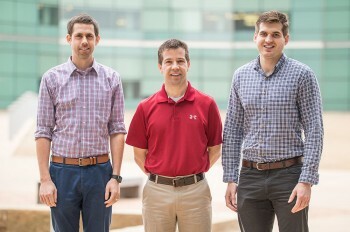 Pandya, J. Vazquez, D. Rathbun, N.D. Engineer, R. Moucha, M.P. Kilgard, Association for Research in Otolaryngology, Florida, 2000. Order Selective Plasticity in Primary Auditory Cortex, M.P. Kilgard, M.M. Merzenich, Association for Research in Otolaryngology, Florida, 1999. Plasticity of Temporal Information Processing in the Primary Auditory Cortex, M.P. Kilgard, M.M. Merzenich, Society for Neuroscience, Washington D.C., 1998. Cholinergic Forebrain Mechanism in Cortical Map Reorganization, M.P. Kilgard, M.M. Merzenich, Society for Neuroscience, Washington D.C., 1996. Audiogenic Seizures in 5-HT2c Receptor Mutant Mice, T.J. Brennan, M. Kilgard and L.H. Tecott, Society for Neuroscience, Washington D.C., 1996. Rab3a and Synaptic Release in C. elegans. M.P. Kilgard, M.L. Nonet, B.J. Meyer, International C. elegans Meeting, Madison, Wisconsin, 1993. 2018–2018	2009 - NIDCD Workshop: Brain Stimulation for Treatment of Tinnitus, Bethesda, Maryland, "Using vagus nerve stimulation to direct plasticity for the treatment of tinnitus". 2009 - International Conference on Auditory Cortex, Magdeburg , Germany, "Neural Coding and Plasticity in the Auditory System: From Tones to Speech". 2009 - University of Michigan, Biology and Experience as Mediators of Neurodevelopmental Health Seminar Series 2009 - University of California at Los Angeles Neuroscience Seminar, "Neural Coding and Plasticity in the Auditory System: From Tones to Speech". 2008 - Advances and Perspectives in Auditory Neurophysiology, Washington D.C., "Speech Sound Categorization and Plasticity in the Central Auditory System". 2008 - University of Texas at Austin Neurobiology Seminar, Austin, Texas, "Neural Coding and Plasticity in the Auditory System: From Tones to Speech". 2008 - Pediatric Academic Societies Meeting, Honolulu, Hawaii, "Neural Plasticity in Animal Models". 2008 - Healthy Minds Conference, Sarasota, Florida, "Neural Processing of Speech Sounds". 2008 - Linking Auditory Neurophysiology to Perception Workshop, Computational and Systems Neuroscience, Snow Bird, Utah, "Cortical Activity Patterns Predict Speech Discrimination Ability". 2008 - Real-Time Processing and the Processing of Time Workshop, Computational and Systems Neuroscience, Snow Bird, Utah, "Effect of Neural Correlations on Speech Discrimination". 2007 - University of Texas at Houston Department of Neurobiology and Anatomy, Houston, Texas, "Neural Coding and Plasticity in the Auditory System: From Tones to Speech" 2007 - Advances and Perspectives in Auditory Neurophysiology, San Diego, California, "Activity Patterns in Awake Auditory Cortex Predict Speech Discrimination Ability in Rats" 2007 - International Dyslexia Association Annual Meeting, Dallas, Texas, "How Practice Changes the Brain's Response to Speech Sounds" 2007 - Behavioral Neuroscience Seminar, University of Connecticut. "Coding and Plasticity in Auditory Cortex: From Tones to Speech" 2006 - International Conference on the Auditory Cortex: The Listening Brain, Grantham, England. "Speech Processing and Plasticity" 2005 - Summer Institute In Cognitive Neuroscience at Dartmouth College, Hanover, New Hampshire, "Cortical Plasticity: from Tones to Speech" 2005 - UCSF Keck Center for Integrative Neuroscience, San Francisco, California, "Cortical Plasticity: from Tones to Speech" 2005 - Center for BrainHealth Symposia Reprogramming the Human Brain, Dallas, Texas, "Translating Plasticity Research into Clinical Practice" 2005 - Krieger Mind/Brain Institute at Johns Hopkins University, Baltimore, Maryland, "Perceptual Learning and Cortical Self-organization" 2004 - Federation for European Neuroscience conference- "Plasticity in Central Auditory Processing: From Neural Mechanisms to Behavioral Significance", Lisbon, Portugal, "Sensory Experience and Cortical Plasticity". 2004 - 21st Century Science Initiative, Palisades, New York, "Experience-Dependent Cortical Plasticity" 2003 - Neural Representation and Processing of Temporal Patterns, Banbury Conference, Cold Spring Harbor Laboratory, New York, "Sensory Experience and Temporal Plasticity" 2003 - International Conference on Auditory Cortex: towards a synthesis of human and animal research, Magdeburg, Germany, "Auditory Experience and Cortical Plasticity" 2003 - McDonnell Project in Philosophy and the Neurosciences, Heron Island, Australia, "Sensory Experience and Cortical Plasticity" 2003 - Association for Research in Otolaryngology, Daytona Beach, Florida, "Perceptual learning and cortical self-organization" 2003 - American Academy of Audiology, San Antonio, Texas, Perceptual Learning & Plasticity Preconference (Co-presenter Beverly Wright, Northwestern University) 2003 - 21st Century Science Initiative, Tarrytown, New York, "Sensory Experience and Cortical Plasticity" 2003 - UTD/UTSW Reprogramming the Human Brain Symposium, Dallas, Texas, "Targeted Manipulation of Neural Plasticity"2003 - Association for Research in Otolaryngology, Daytona Beach, Florida, "Perceptual learning and cortical self-organization" 2002 - University of Pennsylvania Johnson Foundation for Molecular Biophysics, Department of Biochemistry and Biophysics, and Department of Neuroscience, Philadelphia, Pennsylvania, "Sensory Experience and Cortical Plasticity" 2001 - UT Southwestern Department of Psychiatry and Center for Basic Neuroscience Seminar Series, Dallas, Texas, "How Experience Shapes Brain Function" 2001 - Auditory Function and Dysfunction:Molecular and Physiological Mechanisms, Auckland, New Zealand, "Sensory Experience and Cortical Plasticity" 2001 - Learning Brain Expo (keynote speaker), San Antonio, Texas, "Learning and Brain Plasticity" 2001 - American Association for the Advancement of Science, San Francisco, "How Experience Rewires the Brain" 2000 - Summer Brain Institute, Doubletreee Hotel Dallas, "How is the Brain like a Child? - a Neuroscience Perspective on Learning" 2000 - NICE2000: Neural Plasticity and Learning, Grindelwald, Switzerland, "Toward a General Theory of Cortical Plasticity" 1999 - Alief Independent School District, Houston, "How is the Brain like a Child? - a Neuroscience Perspective on Learning" 1998 - Weizmann Institute, Rehovot, Israel, "Stimulation of the Nucleus Basalis Enables Plasticity of Spatial and Temporal Representations in Primary Auditory Cortex" 1998 - Max Planck Institute for Brain Research, Frankfurt, Germany, " Stimulation of the Nucleus Basalis Enables Plasticity of Spatial and Temporal Representations in Primary Auditory Cortex" 1998 - Hebrew University, Jerusalem, Israel, " Stimulation of the Nucleus Basalis Enables Plasticity of Spatial and Temporal Representations in Primary Auditory Cortex" 1997 - Ear Club, Department of Psychology,University of California, Berkeley, "Cholinergic Basal Forebrain Stimulation Guides Large-Scale Reorganization of Adult Primary Auditory Cortex"
The brain is an incredibly sophisticated self-organizing system. When operating properly it has the amazing ability to optimize its function to solve nearly any computational problem. Most children, for example, can learn any of the hundreds of human languages with ease. It is easy to underestimate the complexity of such an enormous task until one observes the struggle of a child with a neurologic disorder that degrades the most important of human abilities: communication. We have every reason to believe that therapies will be developed to help even severely impaired children, but basic science research is desperately needed. The brain operates by coordinating the activity of millions of neurons. Although we know a lot about these basic units of the brain, to understand how to help individuals with language impairments we need to know a lot more about how neurons work together. Just as it would be difficult to understand self-organizing ecological or economic systems through the study of individual animals or companies, it is nearly impossible to predict how millions of neurons learn to act in concert by studying individual neurons in isolation. My laboratory employs several techniques to explore how the brain reorganizes itself when learning the sounds that contribute to human speech. The use of an animal model allows us to explore important self-organizing principles of the mammalian brain with a precision not possible in humans (Science, 1998). By activating the region of the brain that controls learning, we are able to directly observe the reorganization of millions of individual neurons as they learn the cues that are crucial to proper language acquisition in humans. By training animals to do complex acoustic discriminations, we can relate brain changes with perceptual improvements. By housing animals in complex environments, we have been able to document how natural experiences influence brain organization. Finally, by using stimulants we been exploring how these drugs could be used to facilitate human recovery from brain damage. Each of these models to sheds light on different brain processes that may one day allow patients suffering from strokes and children with dyslexia or autism to regain their full potential. Though many mysteries remain about brain function, we are confident that we are close to exposing a set of general principles of self-organization that will be crucial for the development of effective intervention strategies for individuals suffering the nightmare that is life without language. System for stimulating brain plasticity. M.P. Kilgard, M.M. Merzenich, United States Patent 6,221,908, 1998. Computer-Implemented Methods and Apparatus for Alleviating Abnormal Behaviors. M.P. Kilgard, M.M. Merzenich, S. Bao, United States Patent 7,024,398, 2006. UT Dallas neuroscientist Dr. Michael Kilgard understands the science behind teaching. “Neuroscience research demonstrates beyond any doubt that the brain is malleable and can benefit greatly from focused interventions,” he said. “The important thing for educators to remember is that teachers change brains every day.” During his 10 years at UT Dallas, Kilgard’s teaching style has not only captured the attention of his students but also caught the attention of colleagues and the UT System Board of Regents. Kilgard is one of only 38 faculty members across the nine UT System academic institutions to be named a recipient of the Regents’ Outstanding Teaching Award for tenured faculty. The award is accompanied by at $30,000 stipend. Researchers at The University of Texas at Dallas have demonstrated a method to accelerate motor skill recovery after a stroke by helping the brain reorganize itself more quickly. At UT Dallas, researchers are developing new techniques to aid recovery from stroke. Their efforts recently received a boost thanks to a multimillion-dollar grant from the National Institutes of Health. Drs. 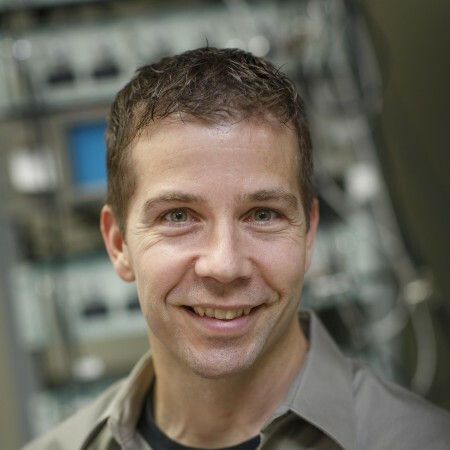 Michael Kilgard and Robert Rennaker will receive $2.3 million over the next five years to test the effectiveness of using vagus nerve stimulation (VNS) to enhance recovery from stroke in an older population.